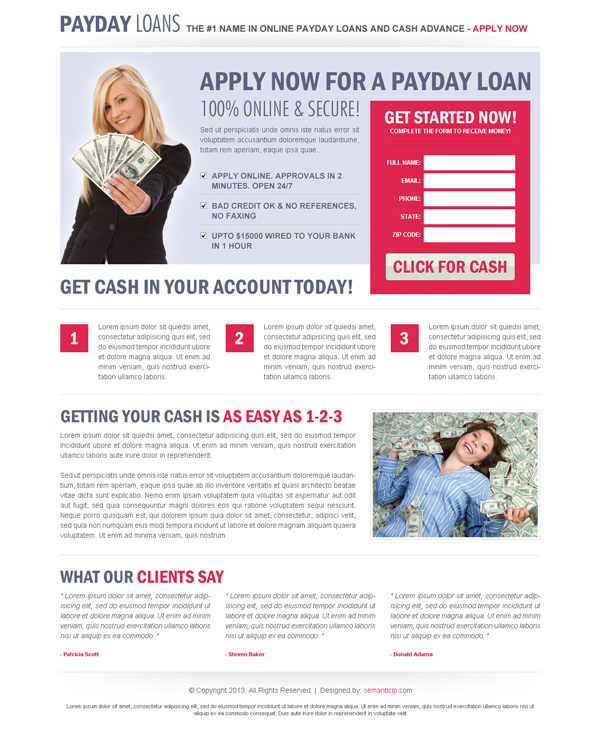 Clean and user friendly blue and white payday loan landing page design with a clear message on the top followed by 4 bullet points convey the message very easily to the visitors. 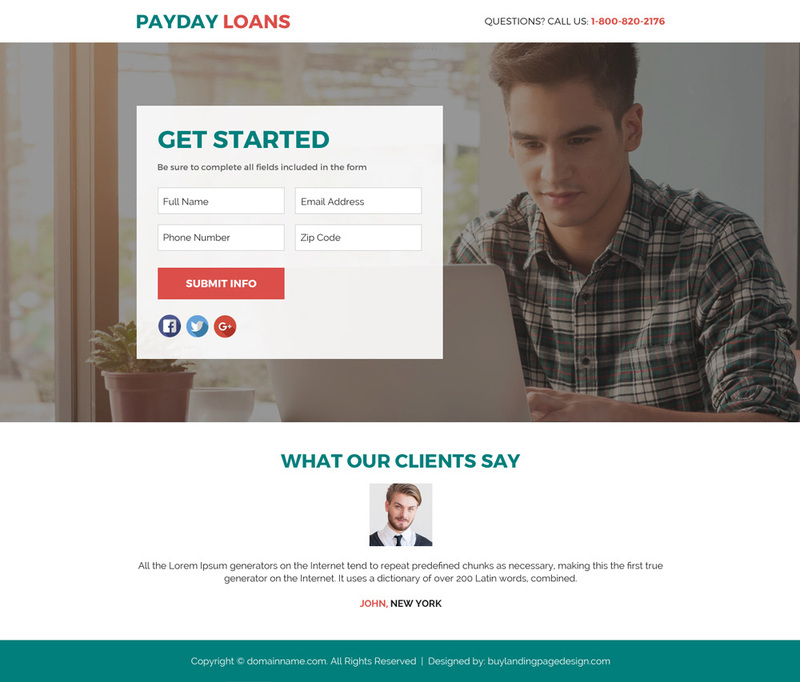 A small lead capture form to the left make it look different than the usual landing page designs we often see around which make it very eye catching with a red clear call to action button. 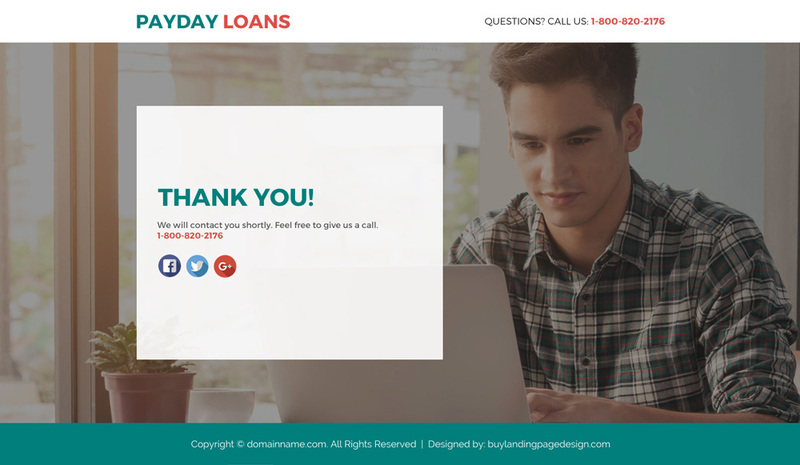 Bold and beautiful looking payday loan landing page design with a clear message on the top and a small green color lead capture form to the right with a simple yet eye catching call to action button. The McAfee secure and VeriSign logo on the top of the landing page adds to its credibility. Minimalist design with minimal colors used which are very pleasing to the eyes, this is the best landing page design of this list. 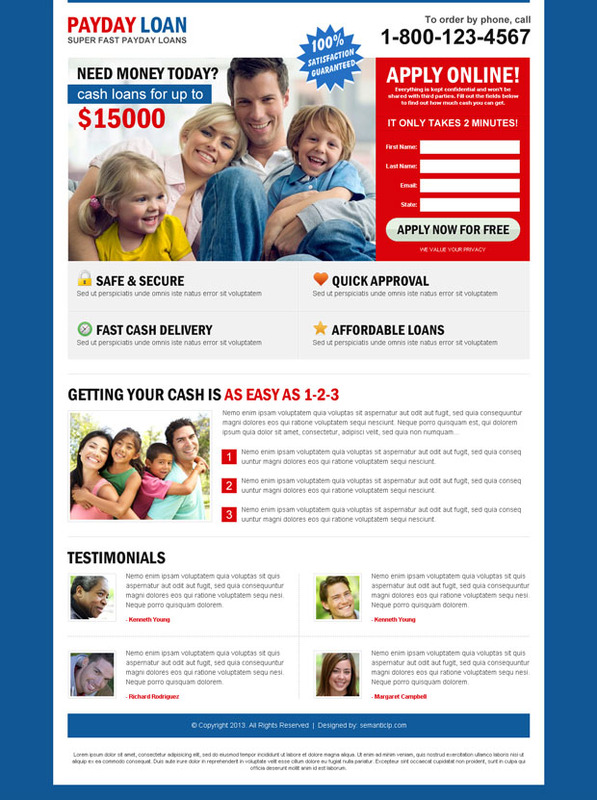 Maximum info is provided on the top banner followed by bullets which make is very user friendly with an attractive pink lead capture form which is attractive as well as very appealing. The 3 steps below to give you the entire process details in short. 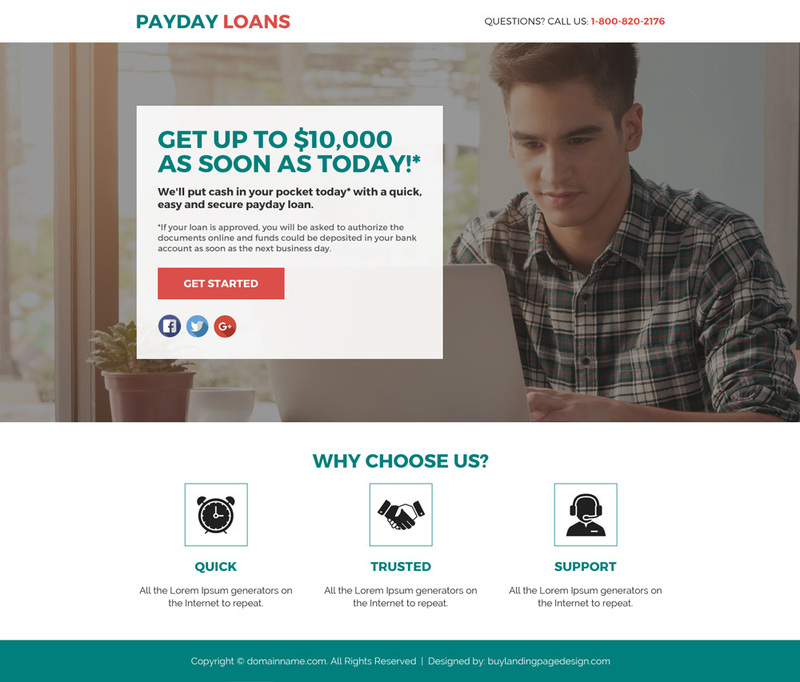 Clean payday loan landing page with a clear call to action button at the top and bottom of the page followed by information and testimonials. The top banners provides a clear message followed by bullet points and a apply now badge conveys the message very easily. The trust seal on the bottom of the lead capture form makes it trust worthy. 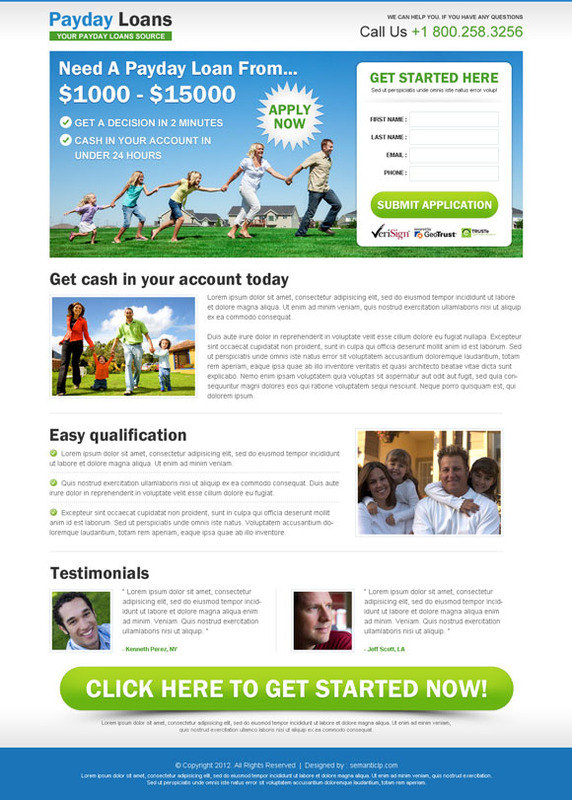 Promote your payday loan business online with our payday loan appealing and effective marketing funnel landing page. 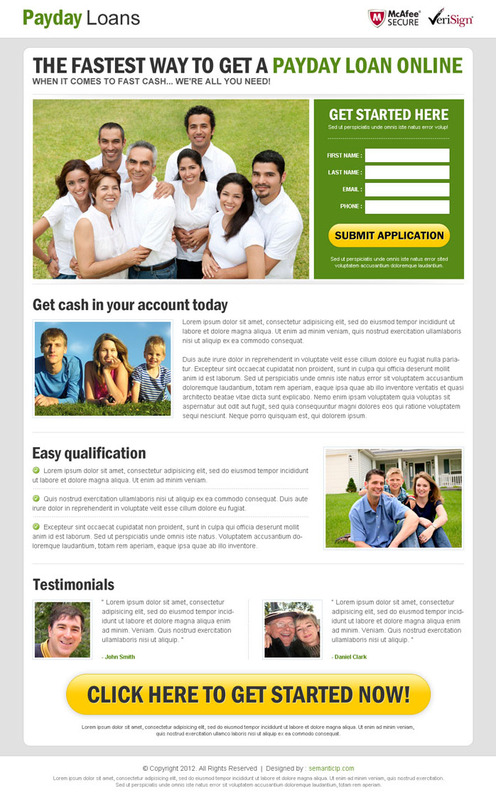 Our lead funnel landing pages are hand-coded in HTML/CSS so they are SEO friendly as well. 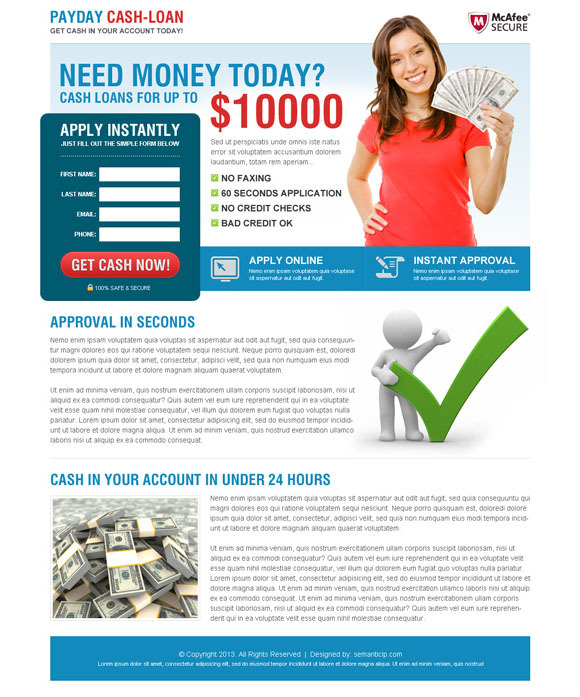 Capture quality potential customers also popularly known as leads for your payday loan business through this appealing and professional payday loan lead generation funnel landing page design.